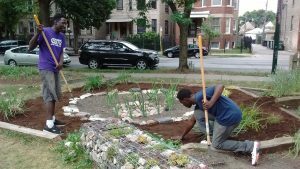 When faced with a facility crisis, Kimball Avenue cleared new ground and ended up growing healthy community. If you visit the Kimball Avenue Church in Chicago, you may sing together, eat together, or get your hands dirty…but you won’t do it inside a building. In 2010, the congregation of Kimball Avenue Church worshipped in a historic building at the corner of Kimball and Medill…until a steam boiler pipe burst and damaged the building beyond affordable repair. So, in 2011, the congregation boldly moved forward in disassembling the building and opening up the space for God to fill it in. 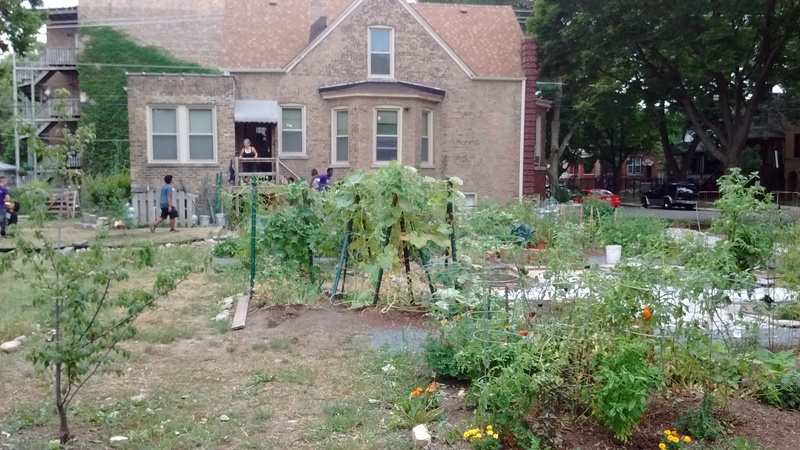 A community group named Corner Farm Chicago was first to ask about the open space to expand their garden program, which has grown like a mustard seed. Three years later, Corner Farm is no longer involved, but the garden now functions as an educational playground, an outdoor concert venue, a food producer, a ‘Little Free Library’, a place for spiritual contemplation, an architectural testing ground, a host site for Tai Chi, and a place where the community is welcome to stroll among the wild plum trees. 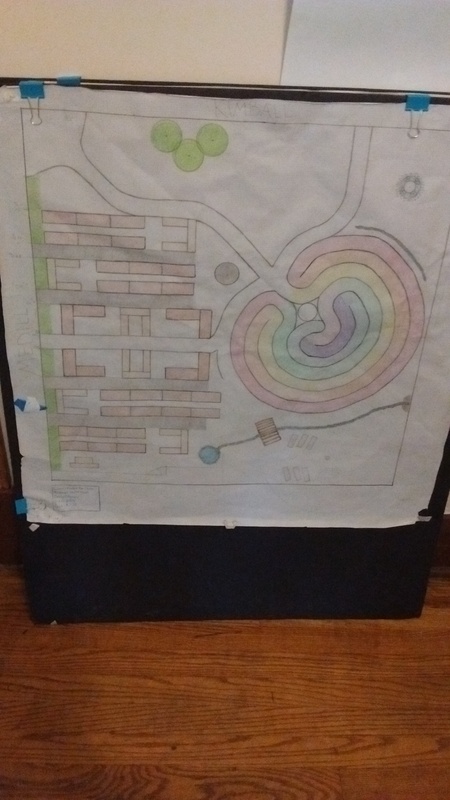 in the community. 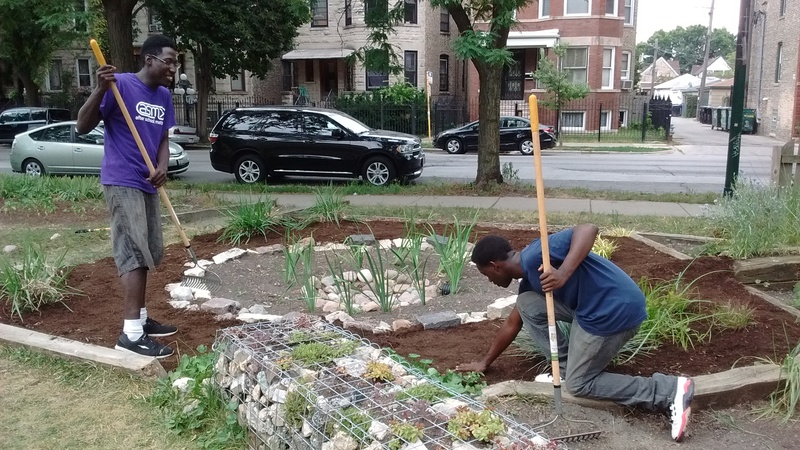 “Gardening in this community has tended to be among millennial whites. We wanted to make it a little more colorful, and that is a challenge…it’s hard to bridge certain demographics.” But Pastor Ray is excited about the way it has evolved. Today the garden plots are divided between St. Luke’s Lutheran Church’s community dinner program, Nuestra Señora De Las Americas Episcopal Church, 18 families, and …students! “I’ve really learned a lot. There are foods I’ve never tasted that now I can cook. 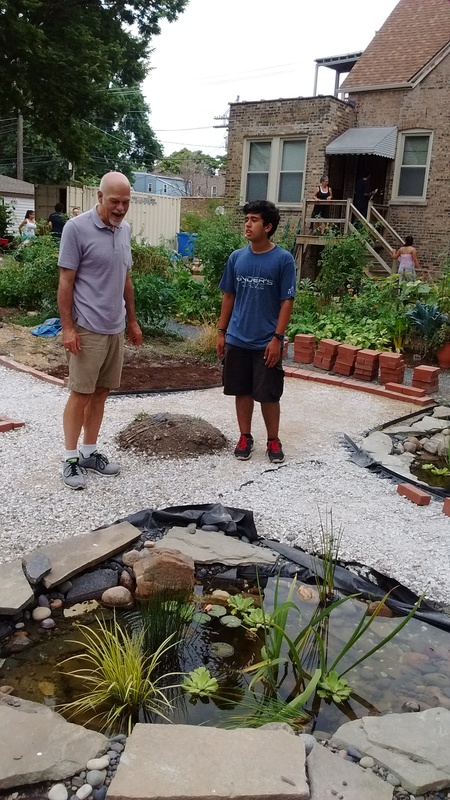 But the gardening is my favorite part,” says Isaiah Fernandez, age 17. 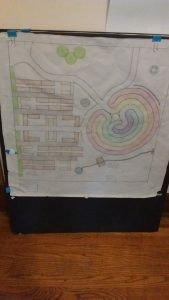 This year, the space has added ponds and a waterfall, a stone wall for moss, walkways with fruit trees, a Saturday morning Tai Chi class, and they are looking forward to the creation of a meditation and prayer labyrinth. Ray and the congregation see all of it as a service to the community.